When you’ve made the decision to buy physical gold and add it to your investment portfolio, you then need to decide what type of gold you’re going to buy. There are many options available, such as gold bars, gold rounds, gold coins, collectible gold coins, and even jewelry. Each form of investment has its own specific market and advantages, but of course, each also has disadvantages. When looking to invest in gold, the most important things to consider are the capital gains opportunity, the liquidity, and the practicality of the asset. Gold bars are commonly offered between 1 gram and 10 ounce weights, although there are larger bars that are generally held by central banks and governments. Buying larger gold bars will provide pricing that is closest to the spot price of gold, and therefore, offers an advantage over smaller bars which have a relatively higher premium over the spot price of the gold in the bar. We typically advocate gold bars over all other forms of physical gold as they come in the widest range of sizes, offer the lowest relative pricing over spot, and are extremely liquid in the physical markets. As an example, 1 oz .9999 gold bars typically sell around $30-$40 over spot price per ounce, whereas gold coins may sell in a range more like $50-$90 over spot price per ounce. Some of the most popular bar and coin producers are Credit Suisse, PAMP Suisse, and Perth Mint. Others include Johnson Matthey, Ohio Precious Metals, and NTR. A look on the precious metal investment website, JM Bullion, shows 1 gram, 2 gram, 2.5 gram, 5 gram, 10 gram, 20 gram, 1 ounce, 100 gram, and 10 ounce bars. There are also opportunities to buy 1 kilogram bars that will require a capital investment of over $50,000. Gold coins provide investors with the opportunity to gain both a bullion style investment and a collectible. Most gold coins are sold with a much higher markup above spot price compared to bars and bullion rounds. Gold coins are relatively scarce and there are generally new releases of most of the popular brands every year. Therefore there are limited runs and limited availability on the market. Rarity creates demand, and demand forces prices up. With bars and rounds, this is not the case to the same extent. There are a plethora of options for those looking to buy gold coins. There are several coin types that stand out in the market, but we advocate focusing on coins that are generally available, extremely liquid, and desirable for investment purposes. These include the Australian Kangaroo, the Canadian Maple Leaf, the Chinese Panda, the American Eagle, the Mexican Libertad, the Gold Buffalo, and the South African Krugerrand. Gold coins generally come as 22 to 24 carat gold. The American Eagle, for instance, contains 91.67% gold, 3% silver, and 5.3% copper. The alloy composition creates increased durability compared with pure gold. Coins are an attractive but relatively expensive way to buy gold. Collectible coins, however, are even more expensive. Numismatic coins often retail at 30%-80% above their gold value. Rarity again creates desirability, and collectors are often willing to pay high markups in order to add rare coins to their collection. However, investors should be aware that often it is difficult to sell collectible coins far above the price at which you purchased. Many investors have bought collectible coins and discovered that they immediately held an asset with limited liquidity and that it was difficult to find the “correct buyer” to pay the “correct price”. However, some of the most collectible coins in the world provide excellent investment opportunities. They’re not duplicable, and so coins like the “Flowing Hair Dollar”, featuring the Lady Liberty and minted in the 18th century, sells for close to $8 million. At the very top end of the market, the Flowing Hair dollar, the 1933 Double Eagles, the Brasher Doubloon, the Edward III, the Queen Elizabeth II, the 1804 Silver Dollar, and other extremely rare coins, are only within the scope of the most wealthy. Bullion coins are often termed semi-numimastic because they have some investment value in terms of collectability. As a gold investor though, numismatic coins should certainly be studied in detail in order to understand the true market value in order to benefit from price increases. You are not just investing in the gold value, but in how rare or unusual the coin is. Appreciation is difficult to quantify with numismatics, and, so, expansive knowledge is a must. 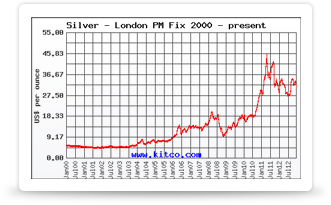 Compared with bullion investment purchases, numismatic gold investments require much more significant expertise. Many numismatic collectors end up turning their hobby into a profitable endeavor. You really must have a passion for coins before you expect to make money from this type of investment. Investing in gold jewelry is another dynamic investment in which prices will not just be based on the value of the gold, but also the quality of the product, design, and the desirability of the jewelry as a whole. It’s important to understand the purity of the jewelry. Most gold jewelry is gold-plated and therefore has limited value as a precious metal artifact. It’s important to invest in gold of 18 carats or more in order to gain access to a truly precious investment. Some jewelry is bought purely for the gold value, some for the desirability factor. Certainly, most retail stores in which you buy gold jewelry will charge a high premium above spot, and, therefore, you will not be accessing a pure gold investment. Ensure, if you are investing in jewelry, that you understand the piece you are buying and its market value. It’s likely that the liquidity of the piece will vary depending on where you are and what market reach you have. Be mindful of how you would cash your investment in before you invest. Most investors should steer clear of jewelry with high markup and should look for jewelry close to the gold spot price in order to afford opportunity for asset appreciation. The most liquid gold investments are bars, rounds, and coins. The mint at which the bars and rounds were produced dictates the perceived authenticity of the gold, and some, such as Credit Suisse and Johnson Matthey gold, are higher priced above spot, but are extremely liquid. Coins are desirable, but it is important that you buy at a good price above spot and don’t overpay. Collectible coins and jewelry require a great deal of knowledge in order to make investment returns. It is important to ensure that you are getting a bargain based on the qualities of the piece, and that you are not paying too far above the spot price of gold. Otherwise you will fail to realize any capital gains. In practical terms bars and coins are probably best for storage and ease of purchase. In addition the variety of denominations make them accessible on a monthly investment basis to most casual retail investors.